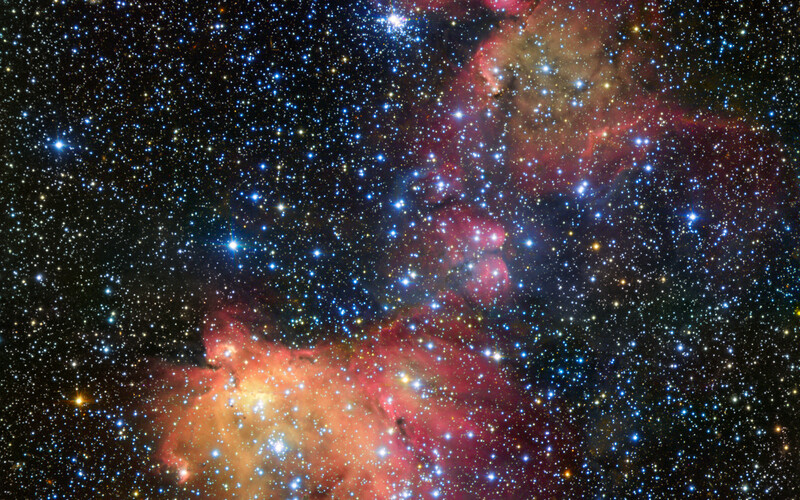 In this image from ESO’s Very Large Telescope (VLT), light from blazing blue stars energises the gas left over from the stars’ recent formation. 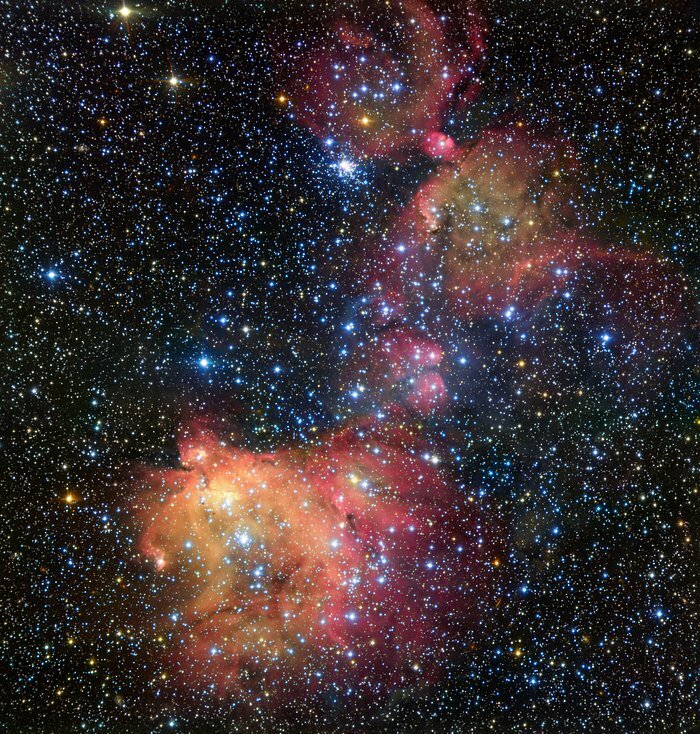 The result is a strikingly colourful emission nebula, called LHA 120-N55, in which the stars are adorned with a mantle of glowing gas. 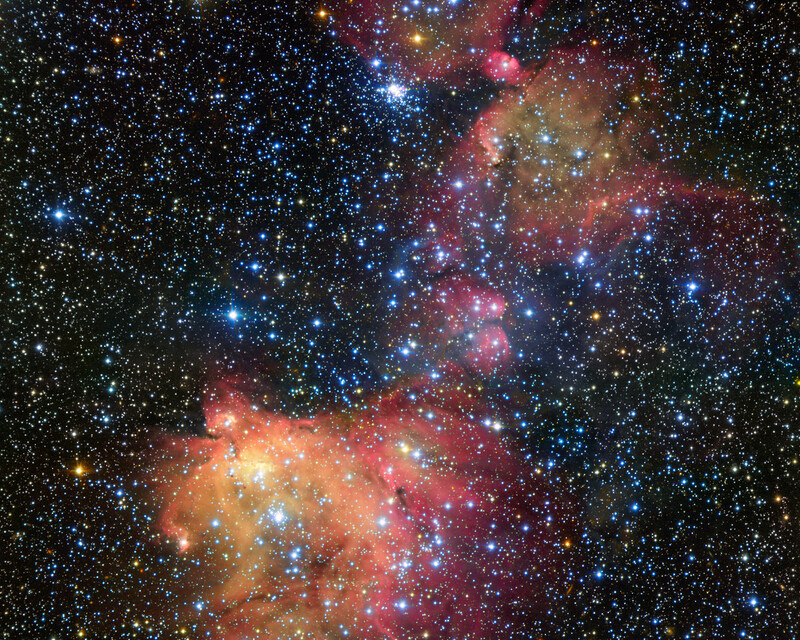 Astronomers study these beautiful displays to learn about the conditions in places where new stars develop. Position (Dec): -66° 26' 15.73"